i had a great engagement shoot up in slc last night. 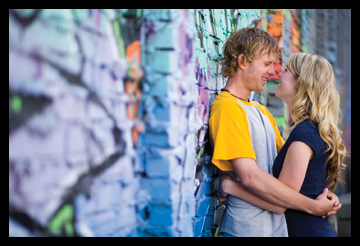 sarah and jason wanted more of an urban feel so we had a great time walking around downtown finding cool alleyways and walls. it was really cold and windy, but we all survived. i had a hard time desciding which ones to post so i posted a lot. so keep scrolling. i can’t wait to photograph their backyard wedding in june. everyone pray for no rain. Nothing short of amazing! These are fabulous. Love the urban look. Beautiful couple, beautiful images.